Prof. Pigliucci has a PhD in Evolutionary Biology from the University of Connecticut and a PhD in Philosophy from the University of Tennessee. He has done post-doctoral research in evolutionary ecology at Brown University and is currently K.D. Irani Professor of Philosophy at City College and Professor of Philosophy at the Graduate Center of the City University of New York. His research interests include the philosophy of biology, the relationship between science and philosophy, and the nature of pseudoscience. Prof. Pigliucci has been elected fellow of the American Association for the Advancement of Science "for fundamental studies of genotype by environmental interactions and for public defense of evolutionary biology from pseudoscientific attack." In the area of public outreach, Prof. Pigliucci has published in national magazines such as Philosophy Now and The Philosopher's Magazine among others. He is a Fellow of the Committee for Skeptical Inquiry and a Contributing Editor to Skeptical Inquirer. Pigliucci edits the Scientia Salon web magazine, and co-hosts the Rationally Speaking podcast. 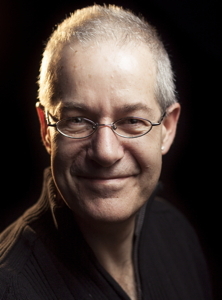 Prof. Pigliucci has published over 135 technical papers in science and philosophy. He is also the author or editor of 10 technical and public outreach books, most recently of Philosophy of Pseudoscience: Reconsidering the Demarcation Problem (University of Chicago Press), co-edited with Maarten Boudry. Other books include Answers for Aristotle: How Science and Philosophy Can Lead Us to a More Meaningful Life (Basic Books) and Nonsense on Stilts: How to Tell Science from Bunk (University of Chicago Press). Scholl, R. & Pigliucci, M. 2014. The proximate–ultimate distinction and evolutionary developmental biology: causal irrelevance versus explanatory abstraction. Biology and Philosophy, DOI 10.1007/s10539-014-9427-1. Pigliucci, M. & Finkelman, L. 2014. The value of public philosophy to philosophers. Essays in Philosophy 15, article 7. Pigliucci, M. 2014. A Muddled Defense of New Atheism: On Stenger's response. Science, Religion & Culture 1:10-14. Pigliucci, M. and Boudry, M. 2013. Why the demarcation problem matters. In: Massimo Pigliucci & Maarten Boudry (eds. ), Philosophy of Pseudoscience: Reconsidering the Demarcation Problem. University of Chicago Press, pp. 1-6. Pigliucci, M. 2013. When science studies religion: six philosophy lesson for science classes. Science & Education 22:49-67. Pigliucci, M. 2013. What are we to make of the concept of race? Thoughts of a philosopher–scientist. Studies in History and Philosophy of Biological and Biomedical Sciences 44:272-277. Pigliucci, M. 2013. The Nature of Evolutionary Biology: At the Borderlands Between Historical and Experimental Science. In: The Philosophy of Biology: A Companion for Educators, ed. by K. Kampourakis, Springer, pp. 87-100. Pigliucci, M. 2013. The demarcation problem: a (belated) response to Laudan. In: Massimo Pigliucci & Maarten Boudry (eds. ), Philosophy of Pseudoscience: Reconsidering the Demarcation Problem. University of Chicago Press, pp. 9-28. Pigliucci, M. 2013. New Atheism and the scientistic turn in the atheism movement. Midwest Studies In Philosophy 37:142-153. Barbujani, G. and Pigliucci, M. 2013. Human races. Current Biology 23:185-187. Pigliucci, M. 2013. Between holism and reductionism: a philosophical primer on emergence. Biological Journal of the Linnean Society, online.